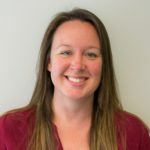 Gina is a Senior Environmental Scientist Supervisor in the Division of Environmental Services at the California Department of Water Resources (DWR) in Sacramento with over 10 years of experience working on invasive plant management in California, all the while volunteering for Cal-IPC. As part of her duties at DWR she oversees technical staff dedicated to the Fish Restoration Program and California WaterFix. Gina serves as co-chair to the DWR internal Invasive Plant Working Group and represents DWR on the Delta Interagency Invasive Species Coordination Team, the Interagency Ecological Program’s Aquatic Vegetation Project Work Team, and the California Interagency Noxious and Invasive Plant Committee. Prior to working for DWR, Gina worked at the CA Department of Food and Agriculture in the Weed Management Area (WMA) Program. She has a B.S. in Marine Science from Eckerd College, St. Petersburg, FL and an M.S. specializing in Weed Science with Dr. Joe DiTomaso from UC Davis (2008). Doug is the Executive Director and Principal Scientist of the San Elijo Lagoon Conservancy (SELC), managing one of the west coast’s premier wetlands. During his nearly 20 years in the position he has raised millions of dollars for restoration and stewardship. He has also worked as a private consultant to several resource agencies and NGOs. He holds a B.S. in Ecology from San Diego State University with a specialty in wetland ecology. He worked for Dr. Joy Zedler at the Pacific Estuarine Research Lab for six years, researching rare plants and monitoring estuaries for fish, invertebrates, water quality, and vegetation. He lives with his family in Encinitas. Steve Schoenig returned to the Cal-IPC board in 2015. He previously served on the board from 1999-2007, including acting as President in 2004-05. Steve spent seven years overseeing the California Department of Fish and Wildlife’s Natural Heritage Program (CA Natural Diversity Database (CNDDB), Vegetation Mapping Program, Conservation Analysis Unit). Prior to that, he worked for 18 years at the California Department of Food and Agriculture, first in the Biocontrol Program and then leading CDFA’s Noxious Weed Eradication Program and creating the Weed Management Area Support Program. 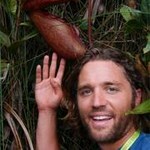 He holds degrees in Entomology, Ecology and Biostatistics from UC Berkeley and UC Davis. Steve has had a serious interest in California botany for 30 years involving systematics of the genus Mimulus (monkeyflowers) and floristics of desert plants. From her adolescent years onward, Laura has been passionate about understanding the interactions between dynamic ecological systems and related human influences. She went to UC Santa Cruz and studied Agricultural Ecology, working on a dozen farms and ranches both domestically and internationally. 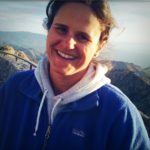 Between bike touring and working for a restoration consulting company, she found a unique professional niche working as a field biologist supporting special status species research and biological mitigation in remote locations of the arid southwest, which kept her busy and inspired for 13 years. She attended graduate school at the University of Arizona, obtaining an M.S. in Natural Resources with a focus on Rangeland Ecology and Management, investigating the restoration and enhancement of habitat for imperiled species in areas of disturbance. 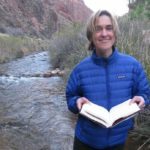 From 2014 to 2018, she served as the Stewardship Manager of the Tejon Ranch Conservancy, a non-profit land trust, helping to oversee the conservation management of 240,000 contiguous acres in Southern California. The effects of invasive species on biodiversity, ecological processes, and conservation values have been a continual focus and priority for her as she’s progressed through her career from farm to wilderness to large-scale working landscape, and she is overjoyed to help support the excellent research, education, and public advocacy work of Cal-IPC to help further this critical cause. Valerie Cook Fletcher is a Senior Environmental Scientist (Supervisory) in the California Department of Fish and Wildlife’s (CDFW) Invasive Species Program. During her 4 years with CDFW, she has been responsible for establishing CDFW’s mandated aquatic weed risk assessment process; developing and implementing invasive species eradication projects; coordinating statewide invasive mussel monitoring efforts; seeking and managing federal grants; contributing to policy, regulatory, legislative, and budgetary discussions, proposals, and decisions; creating the annual California Invasive Species Action Week; and engaging in the California Invasive Species Advisory Committee and Delta Interagency Invasive Species Coordination Team. Valerie earned a B.S. in Fisheries and Wildlife Biology from Northeastern State University and a M.S. in Natural Resource Ecology and Management (NREM-Wildlife Ecology) through Oklahoma State University. 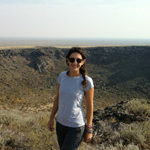 She is currently finishing her Ph.D. in NREM-Rangeland Ecology through Oklahoma State University, studying the integration of patch-burn grazing and herbicide spot-application to control Lespedeza cuneata in remnant tallgrass prairie; her graduate programs were conducted under the advisement of the Oklahoma Invasive Plant Council’s President. Jason earned an M.S. in Restoration Ecology from San Diego State University in 1996. He has worked on large-scale Arundo eradication and habitat restoration programs in California since the mid 1990s. His main priorities are: implementing accurate and inexpensive mapping programs, aiding regional groups in the development of top-down watershed-based eradication programs, and facilitating the development of streamlined permitting. While his work has focused on southern California, he has worked with the Monterey Resource Conservation District on a multi-phase Arundo removal project on the Salinas River, and is engaged in Cal-IPC’s efforts to map Arundo across the entire Central Valley. Bill is a Natural Resources Manager for the US Navy for San Nicolas Island, Naval Base Ventura County. He manages the natural resource program for rare and endangered plants, insects, pinnipeds, invasive species and other terrestrial and marine life found on the island. This program ranges from assisting research to programing funding for federal monitoring requirements and permits, to managing construction monitoring efforts. Field work includes work with rare plants, Island Fox population monitoring, pinniped population monitoring, Island Night Lizard monitoring and re-location, habitat restoration and invasive species control. He also facilitates and reviews naval operations that involve environmental resources. 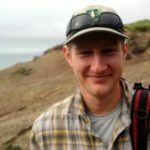 Drew Kerr is currently the Treatment Program Manager for the California State Coastal Conservancy’s Invasive Spartina Project (ISP). Before joining ISP in 2005, when Estuary-wide Spartina treatment was just beginning, Drew was the Aquatic Noxious Weed Specialist for the King County Department of Natural Resources in Seattle, where he began his career in wetland ecology and invasive species management in 1999. During his years at KCDNR, Drew also worked on land use policy and regulation that established protected wildlife corridors and wetland complexes, and worked extensively with native Pacific Northwest amphibians. He received a BS in Environmental Policy & Behavior and a BA in Economics from the University of Michigan and holds a professional certificate in Wetlands Science and Management from the University of Washington. Drew’s first involvement with Cal-IPC was attending the annual symposium in 2005 and he has only missed one annual symposium since then. Drew has a passion for ecology, particularly wetlands and aquatic systems, as well as protecting these ecosystems from the impact of noxious weed invasions. Ed is the Placer County Deputy Agricultural Commissioner and current chair of the Nevada-Placer WMA and Lake Tahoe Basin Weed Coordinating Group. 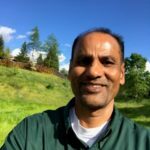 He is active in invasive weed management in a variety of agricultural, urban and wild land settings extending from the rice fields of western Placer County, into the Sierra foothills, and over the Sierra Nevada crest into the Tahoe Basin. In cooperation with his WMA partners, Ed helps defend the Sierra Nevada yellow starthistle leading edge line and targets noxious weed infestations for eradication in the Truckee, American, and Bear River watersheds. Ed also works to ensure that pesticides are used safely and legally and to protect California from other invasive pests by supervising exclusion and early detection projects. In recent years, Ed has been active with Cal-IPC participating in the annual Day at the Capitol, symposium, regional strategic planning and implementing on-the-ground eradication work. Ed holds a B.A. in Geography and a M.S. in Natural Resource Management, both from Central Washington University, and has additional experience in GIS, photogrammetry, wilderness restoration, and fisheries management. Julia Parish is the Regional Director for the Pacific West at the American Conservation Experience. Formerly, she was a Plant Conservation Manager with the Catalina Island Conservancy and led the Catalina Habitat Improvement and Restoration Program’s invasive plant project. She studied at the University of Hawaii at Manoa, focusing on tropical ecology and island biogeography. Upon graduation, she became an Americorps intern with the Oahu Invasive Species Committee, which solidified her passion for invasive species management. 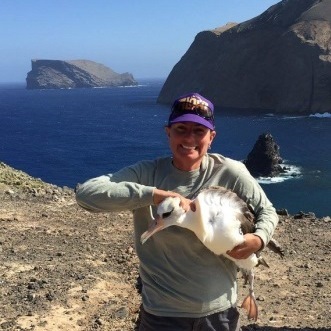 For the past decade, she has worked on islands throughout the Pacific conducting natural resource management focused on invasive species control. She feels most at home when controlling acres of invasive plants surrounded by a sky full of seabirds thousands of miles from a continent. Heather Schneider is currently the Rare Plant Biologist at the Santa Barbara Botanic Garden. 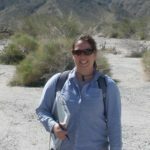 She earned a PhD in plant biology at the University of California, Riverside, where she studied the impacts of invasive annual plants and anthropogenic nitrogen deposition on native annual plants in California’s deserts. As a graduate student, Heather co-founded the Cal-IPC Student Chapter and acted as co-chair until she completed her degree. Following graduation, Heather worked as an Ecologist for the US Geological Survey and continued her work in the desert by studying the health and ecology of the desert tortoise (Gopherus agassizii) and its associated habitats. Next, she worked as a postdoctoral scholar at the University of California, Santa Barbara, where she helped create a nation-wide seed bank to study the evolution of wild plants in response to environmental change (Project Baseline) and also examined the potential for the joint evolution of floral and life history traits in the genus Clarkia. Baldeo is Director for Work Training Programs at the Sacramento Regional Conservation Corps and for past 22 years he has been working in nonprofit sector in Sacramento. Before moving to United States, he worked for the Department of Agriculture in Fiji as a Senior Research Officer where he conducted agronomic research on drought tolerant field crops. He received his Bachelor’s degree in Agriculture from the University of the South Pacific and conducted research work in agronomy at the University of Queensland in Australia. Baldeo has diverse hands on and senior level research, education, operations and management experiences working in Government as well as Nonprofit Sector. He believes it’s vital for the Corps to work closely with professional agencies like Cal-IPC so its members can learn and apply the best practices in habitat restoration, invasive weed eradication and other environmental projects they work on. Lynn is an Associate Research Specialist at UC Riverside’s Palm Desert Center. She is a plant ecologist whose research focuses on the establishment of plants in heterogeneous landscapes, primarily the establishment of invasive plants into new landscapes. She was previously a post-doctoral researcher at the University of California, Santa Barbara. 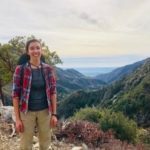 At UCR she is continuing her work looking at native and invasive plant species distributions in the Coachella Valley and beyond. As a child, Lynn was interested in what makes plants “tick,” was a voracious reader about the natural world, and could often be found outdoors. It’s this passion that continues to drive her work today. Even now, the more she learns about native species and their habitats, the more questions she has about “why and how?.” Her work is now across several disciplines; she has focused not only on plant ecology but also biogeography and invasion biology in order to answer questions about why plants occur where they do, and where they may occur in the future. 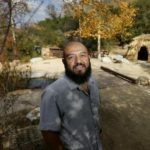 Marcos has served as Director at Audubon Center at Debs Park for nearly two years, and during that time has nurtured a growing community of volunteers, youth, and community organizations; implemented a facility and grounds improvement plan; and partnered with the National Parks Service to establish the only native plant nursery in northeast Los Angeles. Born and raised in Northeast LA, Marcos has deep roots in the community. Prior to coming to Debs, he served as Director of Audubon Youth Environmental Stewards (a program of the Palos Verdes/South Bay Audubon Society), where he engaged and inspired community members to connect to nature and their community through restoration and volunteer science projects. 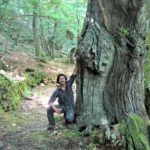 He has also spent time as a Biology Technician for the U.S. Forest Service and an Urban Forester for organizations such as Northeast Trees and TreePeople. Marcos’ formal education is in geology and anthropology. Marcos is an avid birder, and frequently he leads trips to the LA River, Owens Lake, and the Salton Sea. Marlee is a Master’s student at Cal Poly Pomona working in Dr. Erin Questad’s Restoration Ecology lab. Her thesis project involves working in an invaded Coastal Sage Scrub ecosystem to investigate practices to improve reestablishment of native plants from seed in degraded landscapes. She will be exploring the effectiveness of sowing native seeds inside shrub shelters on seed germination and plant survival and growth. In addition to altering the abiotic environment, another potential benefit of seeding inside of shelters is that it may allow the treatment of invasive plants to occur concurrently with native plant establishment, as native plants will be protected by the shelters from physical and chemical weed treatments. 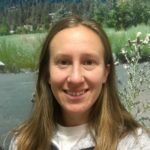 Marlee has performed weed eradication and native habitat restoration across the state while working for the National Park Service, US Forest Service, and the non-profits Point Blue Conservation Science and Rancho Santa Ana Botanic Garden. Guy is pursuing a Master’s of Science in Agriculture, Plant Science option, at California State Polytechnic University, Pomona. His graduate thesis is focused on invasive plant species management. Whether a plant system is a plant nursery, a crop field, or a CA native plant community, all can agree that invasive plant species must be controlled in order to conserve our lands and plant communities. Guy hopes to work in a field where he can aid in plant science research to benefit the natural environment. He also aims to provide community outreach to the general public and inner-city youth that may have experienced some of the same struggles growing up as he did, such as poverty, lack of encouragement, resources, and exposure to career opportunities in the agriculture and the natural resource science industry. 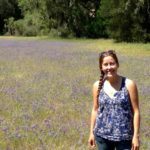 Marina is a Ph.D. student at UC Davis where she studies coexistence between native annual forbs and exotic annual grasses in California grasslands. Her current research focuses on the effects of temporal variability in rainfall on native forb persistence and whether seed banks can maintain coexistence between these two groups in light of current climate trends. She is broadly interested in the interactive effects of invasive species and climate change, restoration, and mechanisms of coexistence. Marina received her B.A. in International Studies from UC San Diego in 2010 and spent her years between undergraduate and graduate school gaining experience in the field of ecology. She interned at the Smithsonian Environmental Research Center where she studied the effects of tree seedling diversity on resistance to deer herbivory. She also worked as a lab and field assistant at Utah State University where she helped create demographic models to explain species coexistence in arid and semiarid grasslands. Beyond research, Marina is involved in various outreach programs to promote youth involvement in STEM fields. She acts as a mentor of the Student and Landowner Education and Watershed Stewardship, which engages high school students in restoration projects, and as a teacher for the outreach program Kids into Discovering Science, where she helps lead in-class lessons to introduce fifth-graders to the scientific method. Noah Teller is a lifelong California resident and currently a PhD student at UC Riverside, working in collaboration with Loralee Larios, Travis Bean, and Elise Gornish. 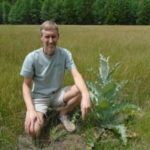 His research focuses on translating advances in functional trait-based plant ecology into usable management techniques for applications including post-fire rehabilitation and invasive plant control. He has worked as a Trail Crew Member, Wilderness Ranger, and Biological Science Technician for California State Parks, the US Forest Service, and the National Park Service, respectively. He seeks to bring his experience as a field technician to inform the design of wildland management techniques. Doug became Cal-IPC’s first staff person in 2002. He holds an M.A. in Geography from San Francisco State University with an emphasis on conservation biology, GIS, and perceptions of wilderness. He is a Switzer Environmental Fellow. Doug also holds an M.S. in Mechanical Engineering from Stanford University. 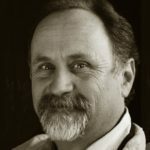 He has worked in wildland weed control with California State Parks and The Nature Conservancy, and as a private consultant. Other work experience includes municipal energy conservation, engineering design, environmental and science education. Doug served as the first chair of the California Invasive Species Advisory Committee, and currently serves as treasurer for the National Association of Invasive Plant Councils. He is a founding member of the California Horticultural Invasives Prevention (Cal-HIP) partnership and the PlantRight partnership. In his spare time, Doug plays soccer and has fun with two sons. 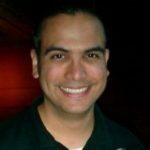 Agustin is an administrative manager with over 19 years of experience. He has worked with professional non-profit arts organizations like the Hollywood Bowl, Cal Performances, South Coast Repertory, and is currently Executive Director of Savage Jazz Dance Company. Agustin served as General Manager of Movement Strategy Center, where he oversaw finance, human resources, IT, operations, facility management, and the fiscal sponsorship program of the organization. previously, Agustin worked with college students in UC Berkeley’s Student Music Activities Department and high school students in Oakland School for the Arts charter school, teaching the fundamentals of arts administration and management. Agustin is an avid salsa dancer and instructor, and is the occasional presenter of salsa events through his company Agustin Luna Presents. He has danced Bomba y Plena with Bay Area Boricuas, assisted them in their initial organizing as a 501(c)(3) nonprofit corporation, and briefly served as their Managing Director. Agustin is one of the last beneficiaries of California’s elementary school music program and has played his trumpet continuously since 1982. He hopes that music in the schools does not disappear and supports efforts to keep it alive. Jutta moved from Southern California to the Bay Area to join Cal-IPC in fall 2018. She has had a life-long fascination with plants and can date the germination of her interest in invasive species and conservation many years ago to a high school field trip to a small prairie preserve in the Palouse in eastern Washington. Formerly, she served as Managing Director of the Science and Stewardship Department at the Irvine Ranch Conservancy, which manages nearly 40,000 acres of open space in Orange County and where she oversaw their natural resource management staff and programs. Prior to joining the Conservancy, she sampled several different environments, completing a bachelor’s at Washington State University, a master’s at the University of Nebraska, a PhD at UC Riverside, and spending a year at the University of Georgia as a post-doctoral researcher. Her interests lie in understanding invasiveness from a biological, ecological, and evolutionary perspective, and in preserving our native ecosystems by properly prioritizing and implementing invasive control, developing native seed resources, and facilitating restoration. She previously served as Cal-IPC President and as Board Secretary. Bertha is an avid gardener using mostly natives who came to Cal-IPC in 1992 after recognizing the threat posed by invasive plants to native plant habitats. She started volunteering in our office in 2004 and is now part-time staff. Bertha handles membership communications and data, runs our sales program, and assists on projects. She holds a B.A. in English (with a minor in Biology) and a M.A. in Education from UC Berkeley. 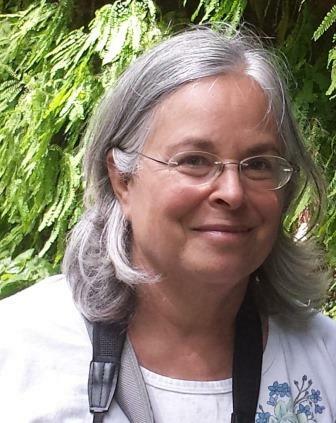 She was formerly president of the San Diego Chapter of the California Native Plant Society, served on its state board, and is currently the chair of the CNPS poster program. In her spare time, she and her dog Appletini volunteer in the canine training program at the Berkeley-East Bay Humane Society. Claire joined Cal-IPC in 2017, bringing 16 years of experience in non-profit administration and communications. She started her career at the Oakland Museum of California, providing marketing and fundraising support, to help exceed their goal of $62.2 million for the museum’s complete transformation. Claire then joined Kulintang Arts, Inc. (Kularts), where she re-designed the organization’s website and digital communications to promote a busy events calendar. As marketing manager and webmaster at Yosemite Conservancy, she oversaw the creation of the biannual magazine and annual report, as well as regular email communications and website updates. She created several website expansions and refinements, including a new web component directly connected to social media outlets, with a regularly-updated blog. In her free time, Claire enjoys several creative pursuits, including: tending a veggie garden, drawing, sewing or knitting clothes, and exploring nature with her family. Dana joined Cal-IPC in March 2010 to lead the ARRA-funded statewide invasive plant mapping program. 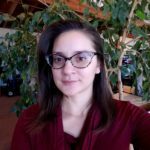 Prior to joining Cal-IPC, she worked as a GIS developer for an environmental consulting firm where she collaborated with biologists on environmental inventories, planning and permitting. Previous experience includes spearheading GIS in support of countywide fire planning in Telluride, CO, and working as a remote sensing analyst on tsunami relief efforts for MercyCorps. She holds a Master’s degree in Geography from the University of Washington, where she focused on urban ecological issues, and an undergraduate degree from Dartmouth College. Dana brings exuberance to her work, and a keen desire to broaden her knowledge and better protect and restore wildlands. Alene joined Cal-IPC in November 2018. She spent the last five years in environmental consulting, supporting nonprofits to develop and implement stewardship and environmental education programming along the degraded coastline in Long Beach, California. She was also a project manager for invasive plant management, wetlands restoration, and endangered species monitoring projects. She transplanted to the Bay Area in early 2018. She brings her passion for building community and creating more equitable access to professional opportunities in the field of invasive plant management to her work with Cal-IPC. She coordinates all public training programs, communications and networking for the Wildlands Volunteer Network.